And as with all things reborn, modern druidry is not an exact replica of ancient druidry. We live in interesting times while honoring and preserving ancient wisdom. As leaders, becoming a Druid is a life mastery process, as well as community service. We embrace the wisdom of our ancestors to help us make a paradigm shift in how we relate to each other, Nature and beyond. The journey begins by discovering the world around us is imbued with sacredness. Then we engage the practice of Druidry to take back agency in our lives. Our every action, thought, and even non-action is an interplay with the cosmos and charged with spirit. We leave behind the disposable culture. There are no disposable resources, people or times. All are sacred, as are we. The universe has a divine nature. Within Druidry, we deepen our wisdom, honor and express our reverence for Nature, our ancestors, each other, and all of existence. We join together to work to better ourselves and our community. In short, we live the Druid motto: "Truth, Honor, and Courage" - To be a Druid is to be a truth seeker in any time and place, to live with honor (a much neglected concept in the modern world), and to live courageously. In addition to laying down the moral and organizational principles by which society operates, a wisdom tradition leads us on a path of self-discovery and self-transformation, equipping us to approach the great questions and mysteries of life, meaning, and especially, death. One can see this demonstrated in the Wisdom of Delphi recorded in 147 aphorisms written on the temple walls. The most famous of these maxims, Know Thyself is the first step toward wisdom, from which all other maxims follow, and has informed the journey of self-discovery for eons. Alan Watts, in his many books contrasting the Western traditions and the Asian perspectives such as Nature, Men and Women or The Tao of Philosophy, insightfully articulates the mysteries of our existence by directing us to see beyond our "skin sacks" and realize our material and conscious connection to everything in the universe. For a visual presentation of these concepts, Timothy Freke has more recently made videos available elaborating what he calls The Mystery Experience. Ancient texts give us insight into the wisdom tradition of the Druids, preserved in literature, myth, poetry, and especially The Triads. The Druids taught in an oral tradition, so the literature was preserved by Christian scribes in later centuries recording indigenous local traditions and folk tales. Thus the written record is imbued with Christian references which did not exist in the original teachings. The monks recording this literature understood that Wisdom is universal and resides deep in the heart's core of every tradition. Looking past the monks' Christian references, one can infer the teachings at the root of this unique tradition. Three renovators of the world: the womb of woman, a cow's udder, a smith's moulding-block. Three causes that do not die with neglect: the causes of an imbecile, and of oppression, and of ignorance. Three free ones that make slaves of themselves: a lord who sells his land, a queen who goes to a boor, a poet's son who abandons his father's craft. 19. A question, O instructing lad, whence hast thou come? 30. in which poems are freshened. 31. And thou, O my senior, whence hast thou come? 38. along the young one's navel-string. 39. A question, O instructing lad, what is thy name? A Druid, then and now, is a truth seeker and thus does not put national, linguistic or ethnic boundaries on wisdom, knowledge or morality. The Druid Mysteries were a body of teachings, transmitted orally in stages of initiation and education. Not everyone has the commitment, capacity or patience to persevere through the rigorous training of a Druid. Knowledge is cumulative and understanding evolves over time, with proper preparation. In order that the teachings not be oversimplified or corrupted, candidates were trained in stages punctuated by initiations signalling their readiness to receive greater levels of knowledge and wisdom. The uninitiated are barred from teachings for which they are deemed unprepared, thus evolved the "secrets" of the ancient Mystery Schools. To be immersed in the rich texture of this tradition, we read the literature handed down to us over many centuries. Much of the ancient Celtic literature is now available online and can be easily studied and explored. The unwise say "I am wise", the wise say "what is wisdom?" Wisdom is not a destination, it is a journey of a thousand questions. Keep in mind that the greatest teacher is Nature. There is no substitute for the intense engagement with Nature. She offers us health, wealth and well being. We venerate, honor and respect Her for Her limitless generosity. We stand in awe of Nature. We feel a sense of kinship and inner peace in natural places. We find inspiration and healing in the wilderness. Walking barefoot on the fertile soil, the wind carries the rich scent of life, the sound of water coursing stirs our blood, the fire of the life force burns inside of us. As Carl Sagan was fond of saying, "We are made of star stuff." Our spiritual connection with the earth informs our philosophy of living. Our most spiritual experiences occur in the presence of Nature, not inside cathedrals. True connectedness is experienced in the community of the forest. We honor the variability and diversity of nature, the source of unspeakable beauty. We find spiritual renewal in the ebb and flow of the positive and negative influences sculpting the landscape in unimagined and constantly changing forms. When we sit in meditation beneath a tree, breathing in rhythm with the suspiring leaves, we feel a connectedness to the cosmos as if breathing within the lungs of the planet. Spirituality is a process, and Druid Nature Spirituality is a mystic journey developing a conscious relationship with Nature and our essential creative nature. A mystic is a person who seeks by contemplation and self-surrender to obtain unity with, or absorption into, the infinite, and who understands the spiritual apprehension of truths are beyond the intellect alone. Nature, or the cosmos, is divine. Developing our consciousness to embrace our divine nature requires that we reformulate our understanding of who and what we are experientially. We have to move from externalizing the sacred as an other world to seeing the sacred in our world: in Nature, in ourselves, and in our relationships with all beings. To share and enhance our spiritual experience, we also engage in ritual. The Scientific American article on "Why Rituals Work" goes a long way to explaining why rituals are important. "Recent research suggests that rituals may be more rational than they appear. Why? Because even simple rituals can be extremely effective. Rituals performed after experiencing losses – from loved ones to lotteries – do alleviate grief, and rituals performed before high-pressure tasks – like singing in public – do in fact reduce anxiety and increase people’s confidence. What’s more, rituals appear to benefit even people who claim not to believe that rituals work." Our group rituals bring us together in an intimate liaison with Nature and each other as a shared experience. Rites of Passage have declined in western culture, yet we need to acknowledge and celebrate all the stages of our lives as we move from birth to death. Through our rituals we synchronize our lives with the natural cycles and seasons of life putting us in harmony with this living planet. Once we have achieved inner peace and group cohesion, we are better equipped to work toward bringing peace to our community. Spirituality is not retiring from the real world, it is engaging on a more conscious level guided by compassion and self-knowledge. Self-transformation necessitates both theory and praxis. Practice of our spirituality in our sacred space, but also participation as a self-realized person in our community. In all of the social functions of Druids: sages, artists, mystics, scholar, healers, advisers, magicians, poets, seers, strategists, leaders, mediators, teachers, historians, jurists, storytellers, spiritual practitioner, ritual presiders, and most importantly truth seekers, Druids mediate our knowledge of this world and beyond. Druid was a social caste in ancient Celtic society made up of the most learned members of that society who underwent 12 to 20 years of rigorous training. John Healy's Ireland's Ancient Schools and Scholars recounts the intensity, comprehensiveness, and rigor of the training in ancient Ireland. Within one specialization, the Filid (or poets), they were divided into seven grades, where the lower and less learned grades were called bard. The highest grade was the ollamh (pronounced ollav), achieved after at least 12 years of study, during which the poet mastered more than 300 difficult metres and 250 primary stories and 100 secondary stories. Only then could they wear a cloak of crimson bird feathers and carry a wand of office. The stark separation between the sacred and the secular is a feature of modern life. These ancient sages played a role in the spiritual life of the ancient Celts, but were not limited to the sacred realm. Druids performed practical functions in secular life as ambassadors, mediators, advisers, historians, doctors and jurists. Our challenge is to reintegrate the secular with an understanding of the sacredness of nature, relationships, and life while respecting everyone's religious rights in our diverse community. 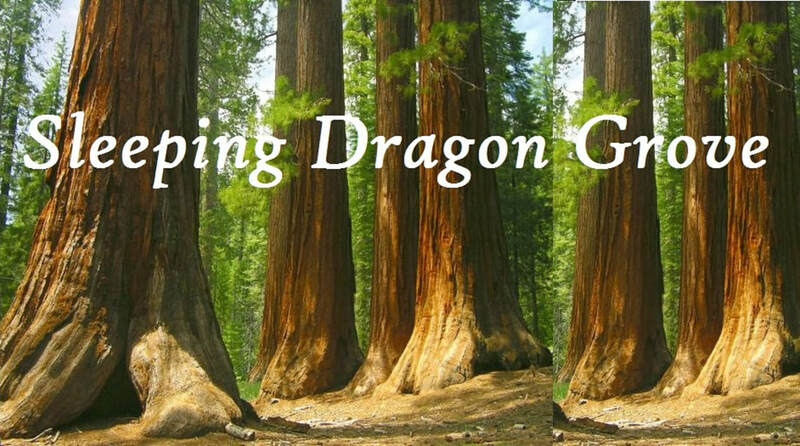 Druidry brings practical solutions to many of today's most pressing problems. 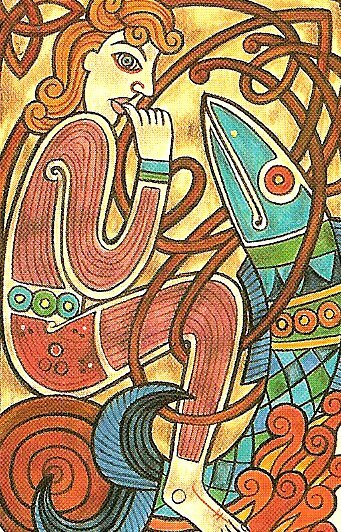 The ancient system of Brehon Law was a restorative system of justice based on forgiveness rather than a punitive system based on principles of vengeance. Offenders were expected to make whole and compensate for any loss but once balance and peace were restored, the offender was reintegrated as a fully productive member of society. Being a Druid in today's world is more than being a presider over ritual. Living our druidry, like the Buddha living enlightenment, gives us compassion for all sentient beings and the responsibility to stay engaged with our community to bring others to a deeply active empathy with all of Nature, living in balance with nature and within the reasonable limits of our natural resources. Ancient Druids defended the well-being of their kindred and lands by the sword - they also interceded between armies to avoid conflict. In the modern world, living courageously is to non-violently stand up against opposing forces that would desecrate and pollute our lands, poison our drinking water and food. It takes greater courage to stand up unarmed in protest but is is also more unifying and therefore more effective. As Druids we understand that it is illogical and spiritually bankrupt to use violence to achieve a peaceful society. We study the ancient wisdom along with scientific discoveries to help us understand where we are going and why. We live in the here and now and must take action to provide leadership in our current context of political upheaval and environmental destruction. We are warriors in the battle to defend Nature from ruthless exploitation and careless destruction. For society to move from a mechanical model of nature and an exploitative relationship, we need a transformation in human nature. That means cultivating our spiritual relationship with Nature by walking the path of a less consumer driven, materialistic, exploitative lifestyle and society. Within Druidry we find our authenticity and learn how to embody our indigeneity. After eons of displacement and colonization, we seek our path home to a genuine kinship with our local environment. Here we adapt to, find harmony with, and steward the local land. One generic philosophy cannot do justice to the local diversity of our environments. Our myths and spirituality must emanate from the local environs instead of being globally homogenized. We must honor the spirits of place wherever we find ourselves. Please view this documentary, called Occupied Cascadia, demonstrating these yearnings in our community. As a modern Druid, we honor our ancestors by participating in current day politics, economics, and society, being of service to our community, as well as studying ancient texts and understanding ancient wisdom. We are in search of authentic wild wisdom to transform ourselves and the world we live in. When wisdom and compassion drive our action, we find the Sleeping Dragon within.